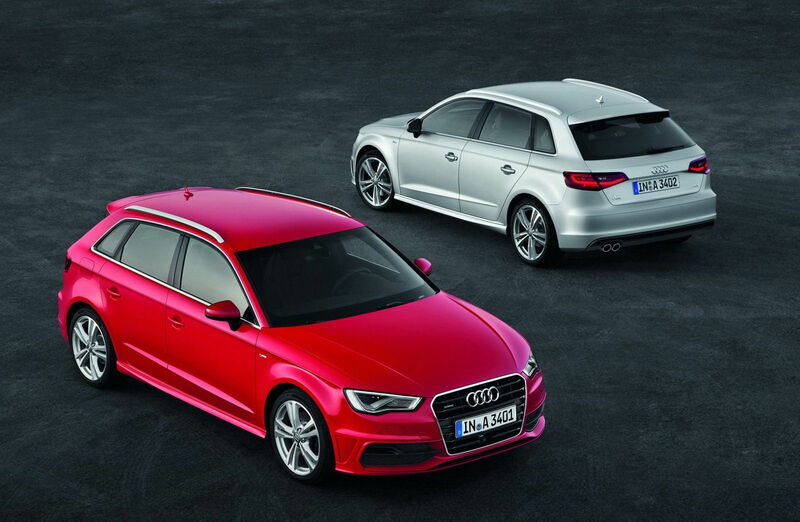 Here’s the “all-new” 2013 Audi A3 Sportback (Wagon), it’s not really new, just an evolution of the previous design. There are subtle changes like new headlights and taillights and the car does grow a tiny bit in size. The car will be officially unveiled at the 2012 Paris Auto Show. 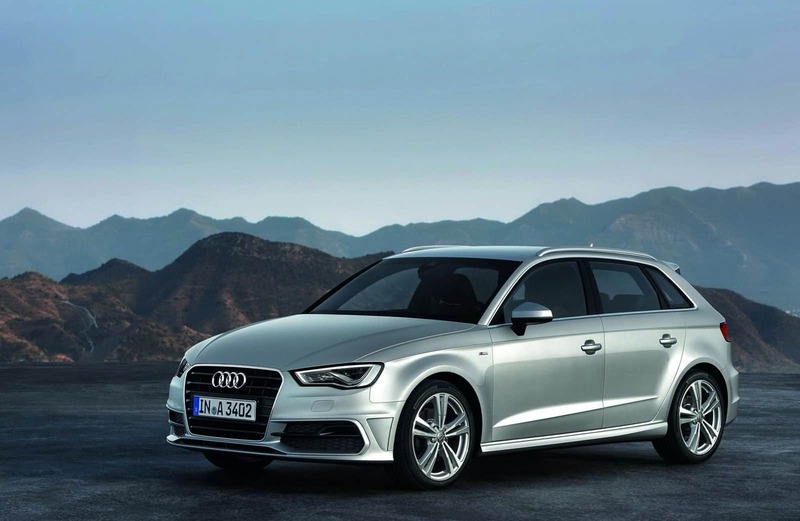 The car doesn’t look too bad, the new sharper headlights give the A3 a bit of an aggressive look and the S-Line package makes the car look even sportier with aggressive bumpers, side skirts, a spoiler, and larger wheels. 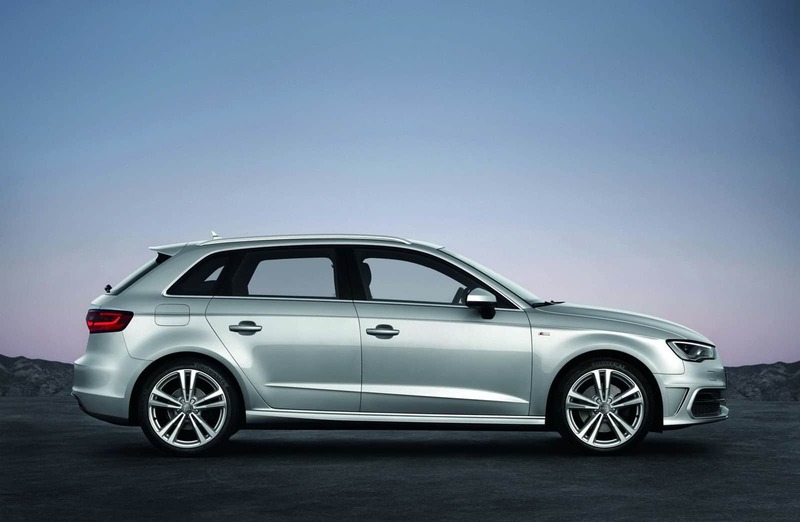 The 2013 Audi A3 Sportback will be offered with quite a few engine choices. Initially in Europe, the car will be offered with one diesel engine and two gasoline engines, more engines will be offered later in 2013. 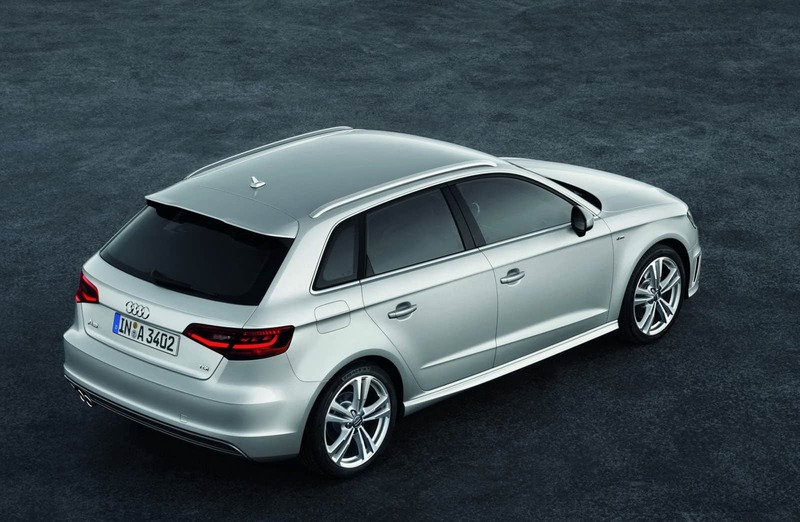 Initially the A3 Sportback will be offered with a 1.6 liter TDI diesel engine, Audi didn’t say how much horsepower this engine produces but did say the car does the 0 – 62 mph (100 km/h) run in 10.9 seconds with a top speed of 124 mph (194 km/h). The cars equipped with this engine will get an impressive 61.9 miles per gallon (3.8 liters/100 km)! Impressive fuel economy but very slow acceleration. The next two diesel engines will be 2.0 liter units with the first producing 148 HP and 236 pound-feet (320 Nm) of torque and the second producing 181 HP and 280 pound-feet (380 Nm) of torque. 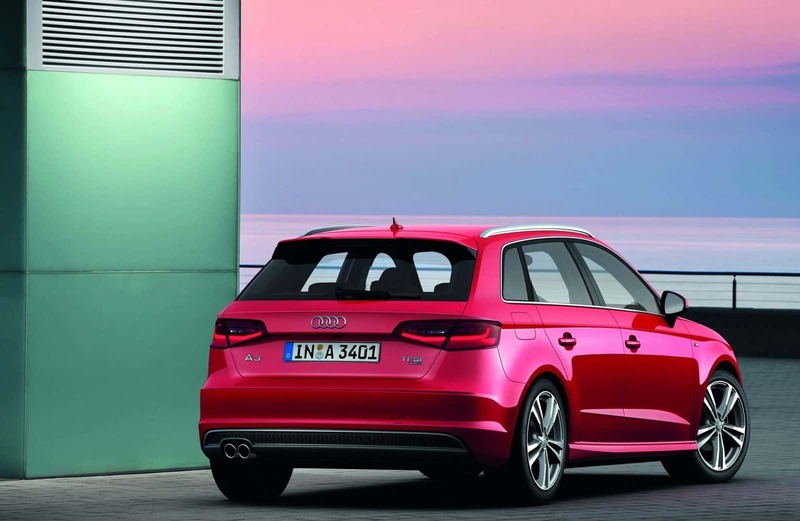 The 148 HP TDI does the 62 mph sprint in 8.4 seconds with a top speed of 133 mph and fuel economy of 54.7 mpg (4.3 L/100 km) while the 181 HP TDI reaches 62 mph in 7.4 seconds with a top speed of 144 mph and fuel economy of 51.1 mpg (4.6 L/100 km). The gasoline engines will include a 4-cylinder 1.2 liter TFSI that produces 104 HP and 129 lb-ft (175 Nm) of torque. The 0 – 62 mph run takes 10.7 seconds with a top speed of 120 mph and fuel economy of 48 mpg (4.9 L/100 km). The next engine is the 1.4 liter TFSI producing 121 HP and 148 lb-ft (200 Nm) of torque with a 0 – 62 time of 9.3 seconds and top speed of 126 mph. This engine has an average fuel consumption of 44.4 mpg (5.3 L/100 km). 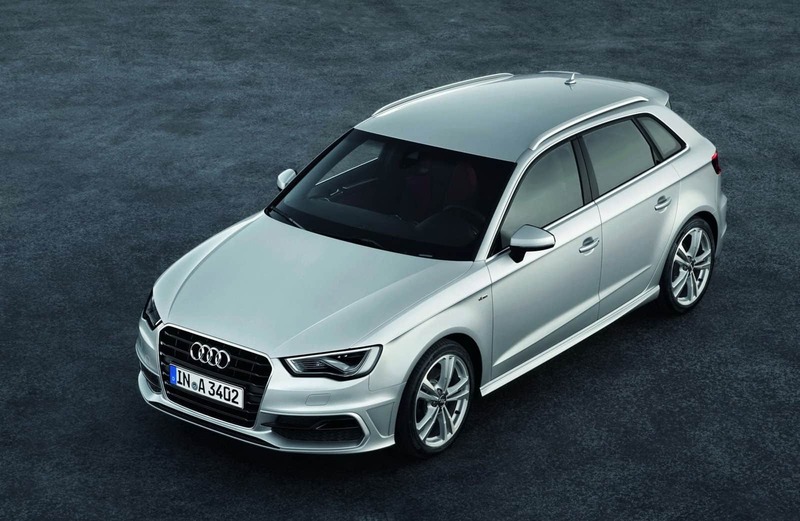 The top of the line (not including the S3 Sportback – which is yet to be announced) engine will be the 4-cylinger 1.8 liter TFSI with 177 HP and 184.4 lb-ft (250 Nm) of torque. The 0 – 62 sprint takes place in 7.3 seconds with a top speed of 144 mph and fuel economy of 42 mpg (5.6 L/100 km). All engines will be mated to 6-speed manual transmissions; customer can also choose the optional S-Tronic automatic transmission. 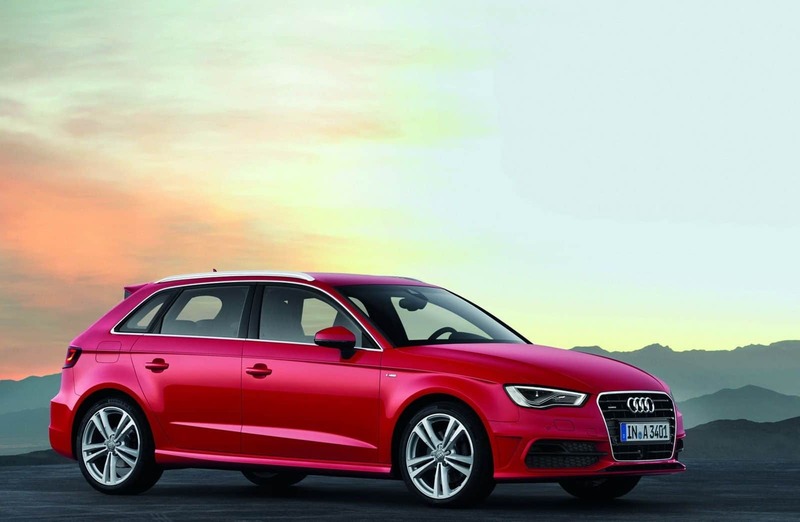 Some of the models will be offered with Audi’s AWD systems. The cars will go on sale in Germany in early 2013 with a starting price of €22,500 (or about $29,000).